Laser cutting Archivy – ITB Engineering & Production s.r.o. 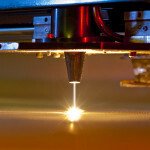 Laser cutting is one of the fastest and technically most sophisticated material cutting methods. It greatly increases the economy of the whole process. Compared to the machine material cutting, it minimizes waste, saves production costs and features high quality and cleanness of the cut. We offer cutting of different materials of different sizes.